The latest 2018 MacBook Pro models start from $1,799 (you can click on the link below to learn more about the pricing comparisons) and all variants feature the Touch Bar. The 13-inch models belonging to the 2017 and 2016 lineup that also featured a Touch Bar came with four Thunderbolt 3 ports, but they were not running at full speeds. Apple has rectified this little limitation with the latest 13-inch 2018 MacBook Pro family as they now feature four Thunderbolt 3 ports running at full speed. Since both notebook computers now come with an Intel 8th-generation Core processors, they are able to support 16 PCIe lanes. This is sufficient for providing complete bandwidth to the 40Gb/s Thunderbolt 3 ports on all notebook models, according to info from MacRumors. Previously, the 2016 and 2017 MacBook Pro models came with a total of 12 PCIe lanes, which means that the Thunderbolt 3 ports could not run at their maximum capabilities. Having even a single Thunderbolt 3 port means that your notebook will be capable of a lot of versatility. You will be able to hook up multiple monitors to increase your level of productivity, not to mention attaching an eGPU solution, but it obviously means that you will lose out on 10 percent of graphical performance as opposed to attaching a graphics card inside the PCIe slot of a motherboard. You can charge your laptop using this Thunderbolt 3 port and attach storage items and other key peripherals. 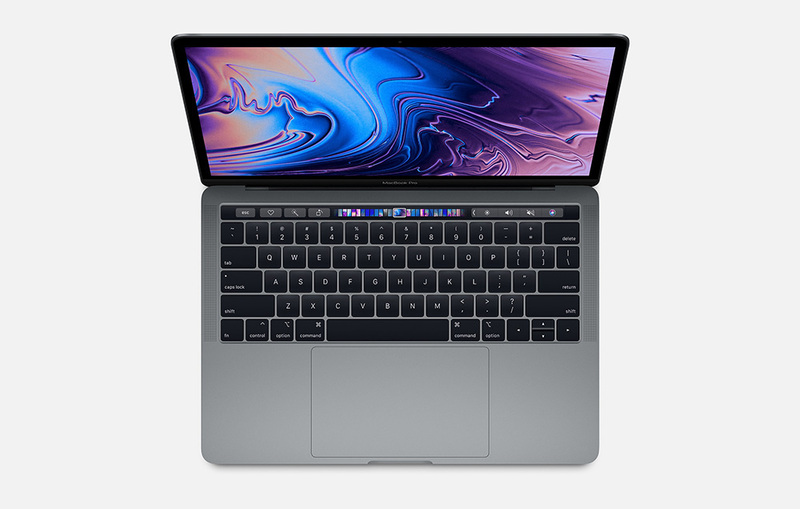 The only drawback is that you will have to purchase dongles separately, which means that you will have to do the same for the 13-inch 2018 MacBook Pro.